This project argues that presidents organize decision-making to respond to economic crises not driven by personality or institutional constraints, but rather by cognitive contexts. The higher the frequency of crises, the more inclined the president to use hierarchical, rather than collegial, decision-making processes. The argument is tested comparing cases in the US and Argentina. 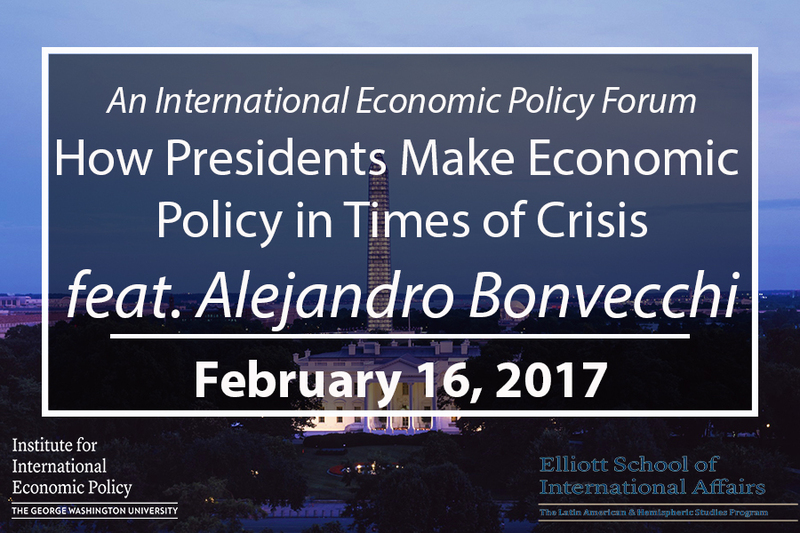 Alejandro Bonvecchi holds a BA in Sociology from the University of Buenos Aires and a Ph.D. in Government from the University of Essex. He is an Assistant Professor at the Torcuato Di Tella University in Buenos Aires and an Adjunct Research of the National Council for Scientific and Technical Research in Argentina, where he works on presidential and legislative politics and the political economy of economic policymaking. He has published four books, and his work has appeared in Presidential Studies Quarterly, Legislative Studies Quarterly, Publius, Latin American Politics and Society, and Journal of Politics in Latin America. Stephen B. Kaplan is an Assistant Professor of Political Science and International Affairs. Professor Kaplan’s research and teaching interests focus on the frontiers of international and comparative political economy, where he specializes in the political economy of global finance and development, the rise of China in the Western Hemisphere, and Latin American politics. Professor Kaplan joined the GWU faculty in the fall of 2010 after completing a postdoctoral research fellowship at the Niehaus Center for Globalization and Governance at Princeton University and his Ph.D at Yale University. While at Yale, Kaplan also worked as a researcher for former Mexican President Ernesto Zedillo at the Yale Center for the Study of Globalization. Prior to his doctoral studies, Professor Kaplan was a senior economic analyst at the Federal Reserve Bank of New York, writing extensively on developing country economics, global financial market developments, and emerging market crises from 1998 to 2003. He received his B.A in International Relations and Economics from Tufts University, and an M.S in International Economic Development from Georgetown University. Jay Shambaugh is a professor of economics and international affairs at the George Washington University. He is the director of the Institute for International Economic Policy. Professor Shambaugh’s area of research is macroeconomics and international economics. His work includes analysis of the interaction of exchange rate regimes with monetary policy, capital flows, and trade flows as well as studies of international reserves holdings, country balance sheet exchange rate exposure, the cross-country impact of fiscal policy, and the current crisis in the euro area. In addition to his book, Exchange Rate Regimes in the Modern Era (MIT Press, 2009), Shambaugh has published in The American Economic Review, The Quarterly Journal of Economics, and other leading journals. 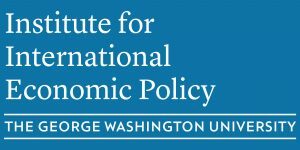 Prior to joining the faculty at George Washington, Shambaugh taught at Georgetown and Dartmouth and served as first Senior Economist for International Economics and then Chief Economist at the White House Council of Economic Advisers. He is also a Faculty Research Fellow at the NBER and a visiting scholar at the IMF. Shambaugh received his Ph.D. in economics from the University of California at Berkeley, an M.A. from the Fletcher School at Tufts, and a B.A. from Yale University.